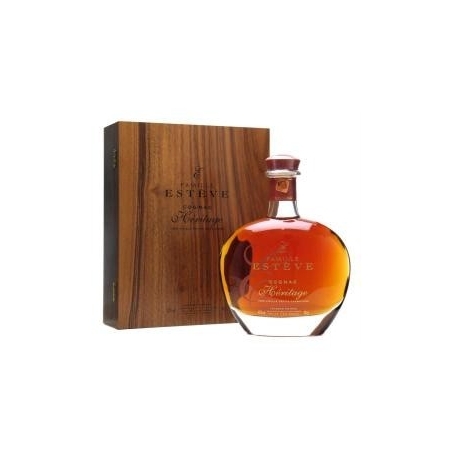 The cognac Héritage was decidedly a beautiful discovery as it is the result of blends of the oldest eaux-de-vie stored on the estate, the sign of a successful transmission combining both exceptional Cognacs and the cellar Master’s talent. 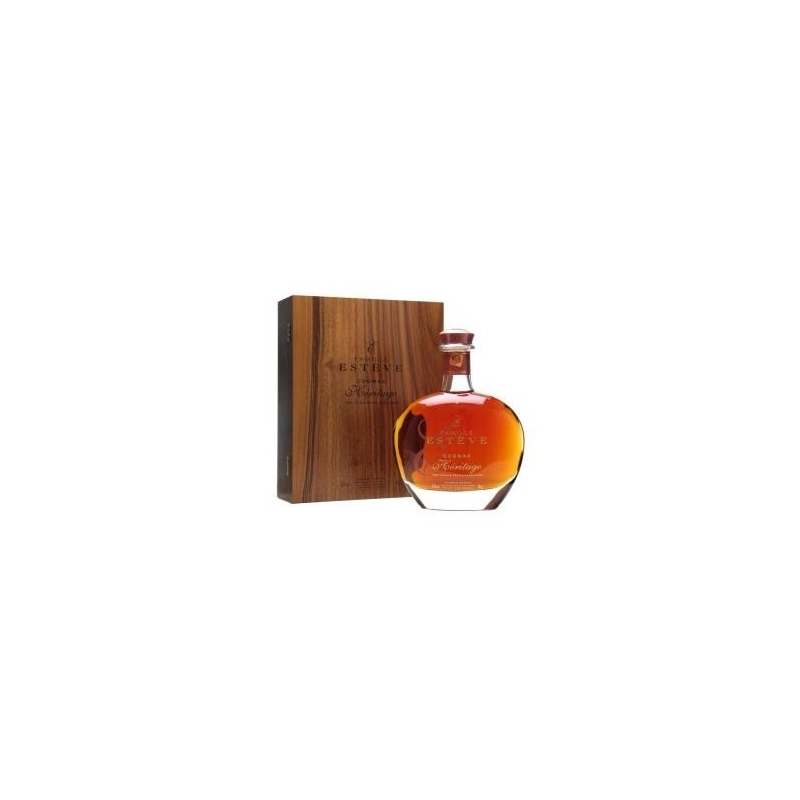 This honourable Cognac has an aged-gold and copper red coloured bottle is presented in a walnut box. Its scent reveals a great aromatic complexity where flowers, mango, pear and exotic spices co-exist. The taste is similarly complex, it will charm you with its candied fruit aromas (pineapple, prune, orange, ginger), enhanced by citrus and vanilla flavours and a subtle woody notes. A fine rare Cognac to be religiously enjoyed. These rare eaux de vie have aged peacefully in oak barrels. They currently score 42% vol without any reduction. Distilled and aged by my ancestors, assembled by me, this Cognac is distinguished by a subtle aroma, with notes of incense, eucalyptus and sandalwood. Its taste remains unique, Powerful, harmonious and very balanced. 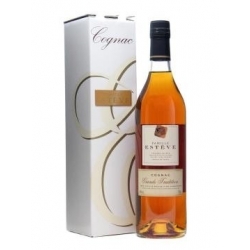 This Cognac is presented in Carafe, in a luxurious box walnut. 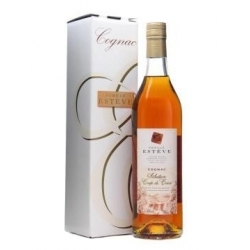 The Sélection Coup de Cœur Cognac Estève is a blend of traditional old Cognacs, all from the Petite Champagne. It was developed following a meticulous selection of the best white grapes of the property. This blend, Cognac Estève Très Vieille Réserve de la Famille, harmonious and balanced tastes more than 35 years ... With its perfect balance and an absolute fullness, the Très Vieille Réserve de la Famille wins over everyone tasting it for the first time. 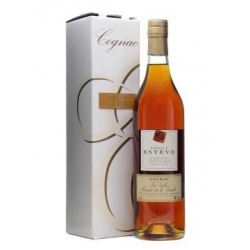 This Très Vieux Cognac de la Propriété Esteve "tastes" 50 years, but has kept freshness and flexibility ... This Cognac is a complex combination of eaux-de-vie, some of which date back to more than half a century ago. It offers a rare pleasure to enlightened connoisseur. Elegance combined with complexity. 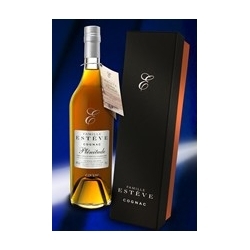 This Cognac, Out of Age, Estève Ancestral Reserve, grown by my father, is a great digestive. This age-old Cognac draws from its blend all the aromatic richness of an exceptional cognac. This rare Cognac, Cognac Plénitude Estève, the oldest of our property is a tribute that I give to my great-grandfather, François Adrien Hitier, born in 1858. This limited series is a cognac of meditation and sharing. But it is above all the story of a transmission that has succeeded over time in changing a profession into art.